12" x 120 Gauge x 1000' Cast Hand Stretch Film. 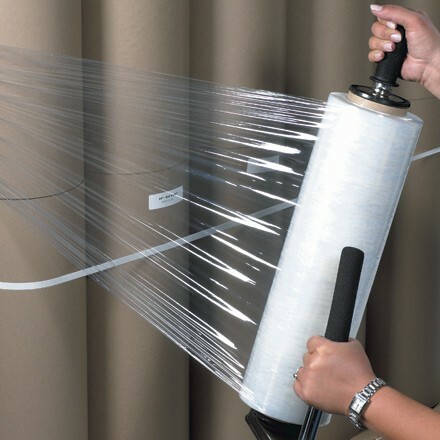 Cast Stretch Film releases from the roll smoothly reducing warehouse noise up to 75%. Film stretches up to 250%. Ultra clear film makes bar codes and other important information easy to read. Great for use on uniform loads. 120 Gauge for loads up to 4,000 lbs. Dispensers available stock numbers SFDIS259, SFDIS277 and SFDIS278.